School's out and you may be thinking of ways to fill the kids extra free time. A lemonade stand is a great way to keep them busy while teaching them valuable life lessons and maybe even earn a little money while they're at it. Plus, who doesn't love cold lemonade on a hot day, especially if cute kids are selling it? Let the kids do the work with your guidance of course. Listed below are a few tips to throw a successful lemonade stand this summer. Your front yard is an easy option but if you live in a cul-de-sac or at the back of your neighborhood consider setting it up in a place that gets more traffic. Maybe move it to the front of the cul-de-sac or neighborhood entrance. If your neighborhood has a central playground that would be a great place too! Everyone needs a cold drink after a hard day of play! Make sure to check with your HOA (if you have) one for specific guidelines in your area. To attract more people to your lemonade stand place signs at the entrances and common areas of the neighborhood! Let your kids create these and have fun with it! The more creative the better! Maybe they are raising money for summer camp or a missions trip--so make sure to include that on your sign. People like to know they are donating for a worthy cause. Do you have a specific charity you are passionate about? 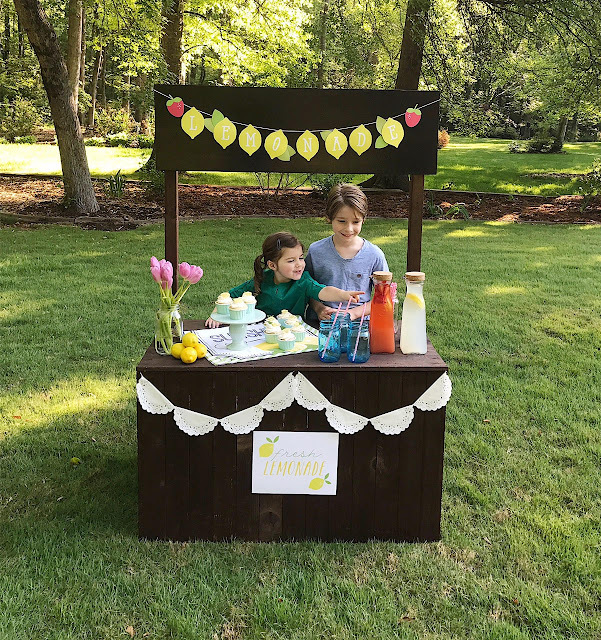 Get the kids involved and use your lemonade stand profits to donate to the charity of their choice. The lemonade stand pictured was built by my father-in-law but don't fret if you don't have an "official" lemonade stand. A folding table covered with a table cloth can still look cute with some decorations. 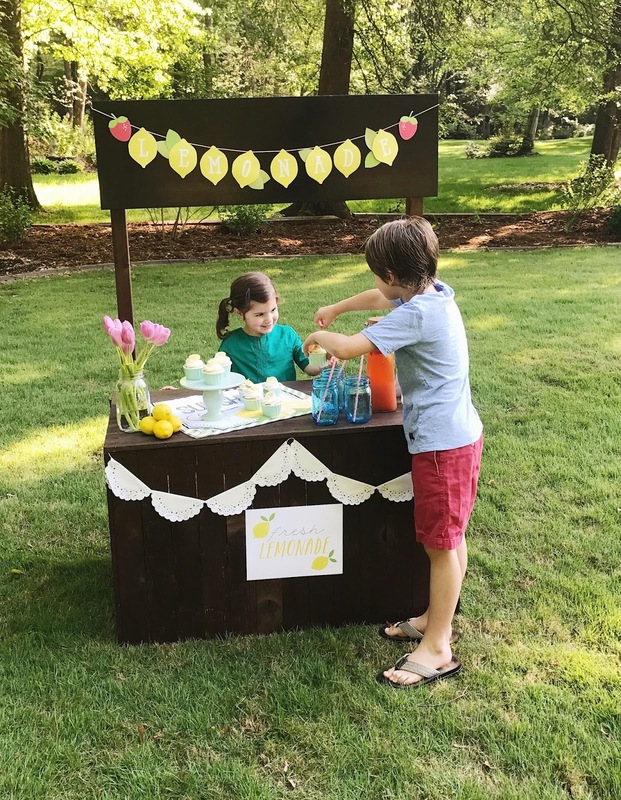 Help attract customers by adding a banner, pretty signage, or flowers to your lemonade stand. Cute napkins, cups, and paper straws add a nice touch also. The signage from this lemonade stand was free and you can find it HERE. Just download and print them at home on card stock and cut them out. You could also send them to an office supply store to have them printed. I sent mine to Staples and it was only $2.00 for the banner and 8 x 10 sign. Increase your income by giving customers more options. Add a flavored lemonade in addition to the original. We made a strawberry lemonade, and it was delicious! (Recipe in THIS post or you can find it on my instagram.) Throw some cut up fresh strawberries in it along with lemon slices for added detail. I like to offer baked goods to go along with the lemonade as well. Homemade cupcakes, muffins, cookies, or other yummy treats are always a big hit. Popscicles would be perfect for summer also and could be stored in an cooler so they don't melt! Price your drinks to sell and you can charge a little more for the extras. This isn't Starbucks so other than your grandma no one is going to give your kid five bucks for a cup of lemonade. But if you add some enticing extras like adorable cupcakes piled sky high with homemade frosting, you might be able to charge a little more. I usually stick with .50 cents per cup of lemonade and charge a few dollars for the enticing treats. You may not get that much for a box mix brownie but a cute homemade treat with an adorable garnish might make the cut. Throw some gumballs or lollipops in a jar for a quarter and you've got your impulse buys covered. A happy customer is a returning customer. 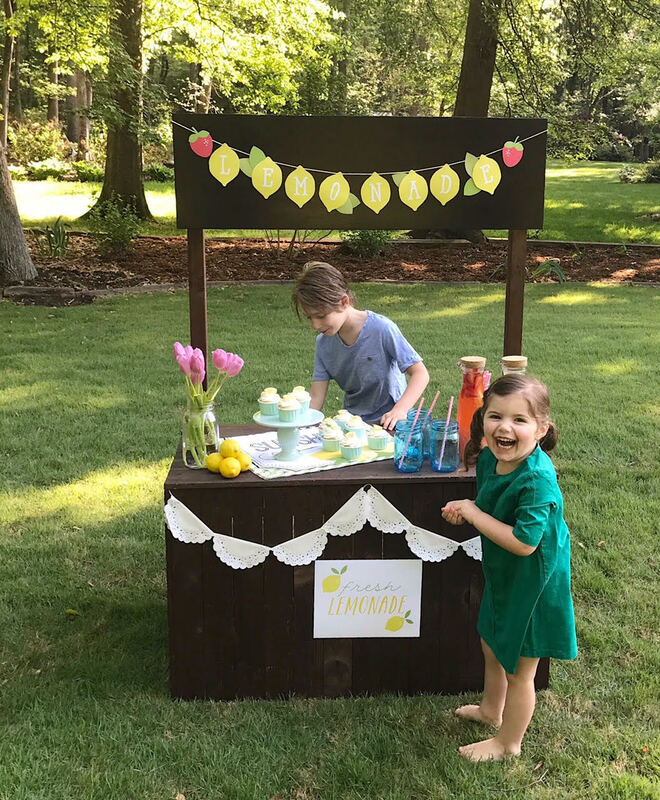 You've got three months of summer, so you may have time to do several lemonade stands throughout the season. Keep your customers coming back for more with delicious recipes and friendly sales people. Home made lemonade is delicious so if you have the time make it yourself! 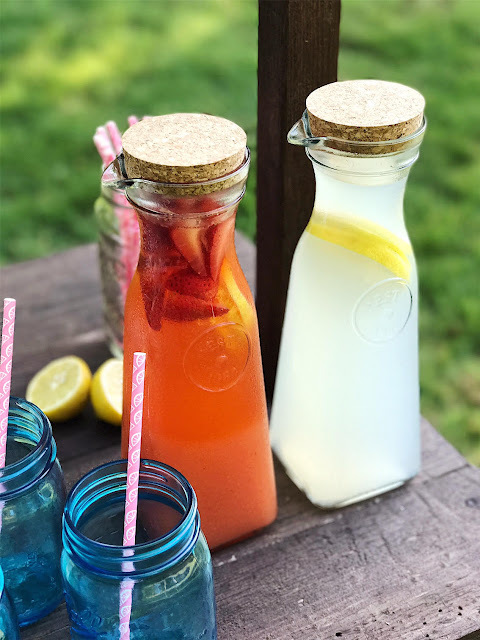 You can find my favorite lemonade recipe HERE and it's so easy to customize it to make other flavors. Keep extra lemonade in the fridge and bring it out in shifts to help keep it cold. What things do you do to keep the kids busy in the summer? Comment below with your ideas! I'd love to hear them!